The single crippling factor of Samsung’s Galaxy Gear smartwatch has finally been fixed. 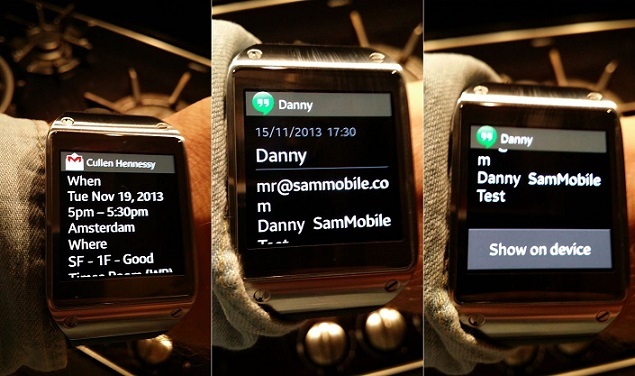 An update for the Galaxy Gear Manager app, available now on Samsung’s app store, now adds support for pushing notifications for just about every installed app on a supported device. The new firmware update now allows virtually any third-party app to push notifications to the Gear, which means that now you’ll know when you’ve got a WhatsApp message, or if someone mentioned you in a tweet. More importantly, they will also appear in full; Samsung’s nullified the need to pick up your phone to read the email you just got. If you’ve got a Galaxy Gear and shelved it because of its limited functionality, you may want to pick it back up and fire up the update.